The 2018 Volkswagen Atlas is a new entry into VW’s line-up. We picked up a loaded version from our friends at Ontario Volkswagen for a test drive and were seriously impressed. The mid-sized SUV is extremely versatile and packed with technology. 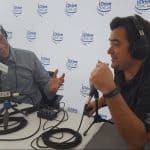 Get all the details in this iDriveSoCal Podcast. 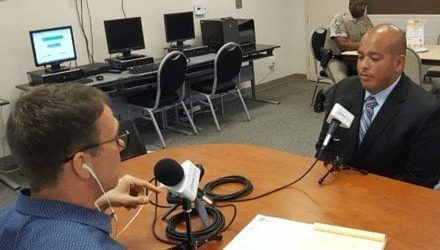 Tom Smith: Welcome to iDriveSoCal, the podcast all about mobility from the automotive capital of the United States – Southern California! 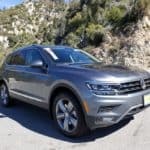 Tom Smith here and today we’re reviewing the 2018 Volkswagen Atlas from our friends in the Los Angeles suburb of Ontario, California – Ontario Volkswagen. 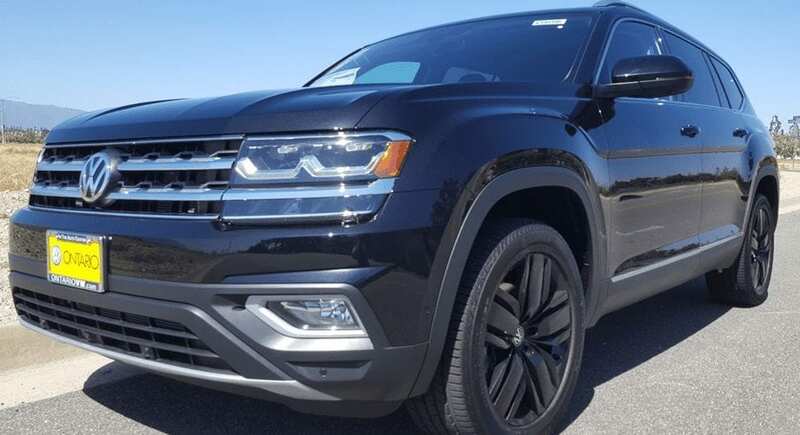 2018 is the first year for the Atlas and VW definitely did this mid-sized SUV right! 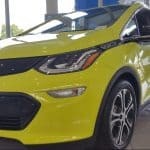 I recently took one for a half-day test drive and was seriously impressed by many aspects of the vehicle. The base “S” model starting around $30-thousand-seven-hundred. Then there’s the V6 S.
Next you have the Launch Edition. The Launch Edition with 4-Motion. The V6 S with 4-Motion. The V6 SE with 4-Motion. The V6 SE with Technology. The V6 SE with Tech and 4-Motion. Then you have the V6 SEL. The V6 SEL with 4-Motion. And finally, the top of the line, V6 SEL Premium with 4-Motion. And that starts at about $46-thousand-seven-hundred. So price-wise between the base model and the top of the line you go from about $30-thousand-seven-hundred to $46-thousand-seven-hundred. Again, something for everyone. As always, the prices we quote are just estimates. You need to select the Atlas that’s equipped to your liking and your price will reflect that. But you definitely want to go Ontario Volkswagen to do so. Ask for our friends Randy Halcomb or Scott Reed and they’ll hook you up. Lucky for me, I got to drive the top of the line Atlas. The V6 SEL Premium with 4-Motion. Now there’s one option that my test-driver didn’t have and that’s the R-Line Appearance Package. The Atlas is a great looking SUV as is. But if you’re looking for something just a little sportier – or bolder – looking the R-Line dances it up nicely. The R-Line gives you 20-inch alloy rims, a grill that’s a bit bolder looking and some nice accents on both the interior and exterior. Not a big price increase but like I said – definitely dances up the appearance nicely. The first time I spotted the Atlas on the road was somewhere on La Cienega near Culver City. I remember the situation vividly because at first glance I swore I was looking at an Audi. I also recall the situation vividly because we had just started the iDriveSoCal Podcast and I immediately called Professor Quan to tell him about my first road-sighting of the new VW offering. The 5-star Safety Rating from the National Highway Transportation Safety Board. And the industry leading 6-year 72-thousand-mile bumper to bumper warranty. Anyway, at first sighting I thought the Atlas looked fantastic. Bold and rugged yet classy and refined with great, clean lines. The Atlas I drove looked even better – as again, I drove the top of the line. Now it’s technically a mid-size SUV but as we’ve discussed in many podcasts – everything is getting bigger lately. And the Atlas follows suit. From the outside it looks a bit bigger than a mid-sized SUV. And inside it’s huge – which is awesome and we’ll get into that in just a second. But what I loved about the Atlas is that while it looked and felt bigger it definitely drove like a mid-size SUV. It was highly maneuverable. I swung by the Bass Pro Shop during my test drive and navigating the parking lot was not only a breeze but fun. I was surprised how easily I slid into and out of parking spaces. The Atlas offers a great drive. Maneuverability was awesome whether I was at parking lot, neighborhood or highway speeds. I was very impressed at how sure-footed the vehicle felt. Very, very stable underneath while delivering plenty of power getting on the highway and passing other vehicles. All these safety features are great options with your family in mind. And not only is there plenty of space for your family but that space is very well thought-out and designed for ease of use functionality. The Atlas offers a highly versatile second and third row of seating for you to carry up to 7-passengers. And this third row is not just for kids – even adult-bodies fit comfortably in the Atlas’s back row. Plus, VW has solved the problem of getting adult bodies into the back row with brilliant design of the Atlas’s easy to move 2nd row seats. Even better, that second row of seats is designed to move just as easily with, not only a child safety seat attached, but without adjusting the child safety seat at all! One more aspect of the Atlas’s second row of seats. It fits not just one or two – but three child safety seats! And you don’t have to use seatbelts to secure any of them. There’s three different pairs of child safety seat anchors which I absolutely love! If you’ve ever had to secure a child safety seat with a seatbelt instead of the anchors you know what I mean. So, let me lay out a scenario. I’m driving, my wife is in the passenger seat. We have added a couple kids to the one we have already so we have our Atlas’s second row loaded with a total of three kids and they’re all in their safety seats. But that third row is still back there and easy for adults to access. What a perfect location to put the in-laws! Great design Volkswagen! I really love the way you think! One more really cool thing about the Volkswagen Atlas is the optional second row captain’s chairs. So if you don’t have a family or the need for the full second row of seats, then the captain’s chairs can add a great and completely different dimension to the vehicle’s use and passenger comfort. And all the space the Atlas offers isn’t just for people. When you fold down seats you are left with a flat surface and huge 96-point-eight feet of cargo space! The Atlas really delivers with optional creature comfort technology too. The top of the line that I drove had it all and man it was fun and easy to use. I love Volkswagen’s new Digital Cockpit. Instead of the traditional instrument cluster, digital cockpit, displays information in digital high-resolution. Plus, you can customize and save up to 4-different digital cockpit displays. And between the digital cockpit and the design of the touch screen on the center stack – the Atlas technology was just super-easy and intuitive to use. I was able to hop right in, drive and use everything without much introduction. Huge moon-roof – seriously it was almost the length of the entire vehicle. Hands-free rear lift gate – just give it the old air-kick and you’re in. Lots of USB ports throughout to keep everyone entertained and plugged-in. And speaking of entertainment – Fender Premium Audio System. And that’s not fender meaning car part – that’s Fender meaning guitar and amplifier company. Nice! Delivered great sound. The ability to us Apple Car Play and Android Auto – always love that. And it has a 5,000-pound towing capacity! Lastly, how can I possibly forget – optional heated and ventilated front seats! Okay, with all that it’s tough to pick a top three but here goes. Number one – That new Volkswagen 6-year 72-thousand-mile America’s Best Warranty. Even though VW’s are known to last forever the peace of mind that warranty delivers is a huge factor. Number two – The interior space and versatile functionality. So many convenient seating and cargo options to go with. I love that. Number three – The tech. VW’s digital cockpit is huge. It definitely takes the driver-vehicle interface to the next level. And a special thanks to our buddies at Ontario Volkswagen! Earl and Scott Reed, Randy Halcomb, Jim Straley in service and the whole crew. Thanks fellas. Be sure to stop out, say hi to all the guys and test drive an Atlas. They’re just off the 15 in Ontario and at OntarioVW-dot-com. 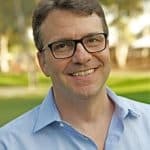 For iDriveSoCal, I’m Tom Smith, thank you for listening!